Fantastic! 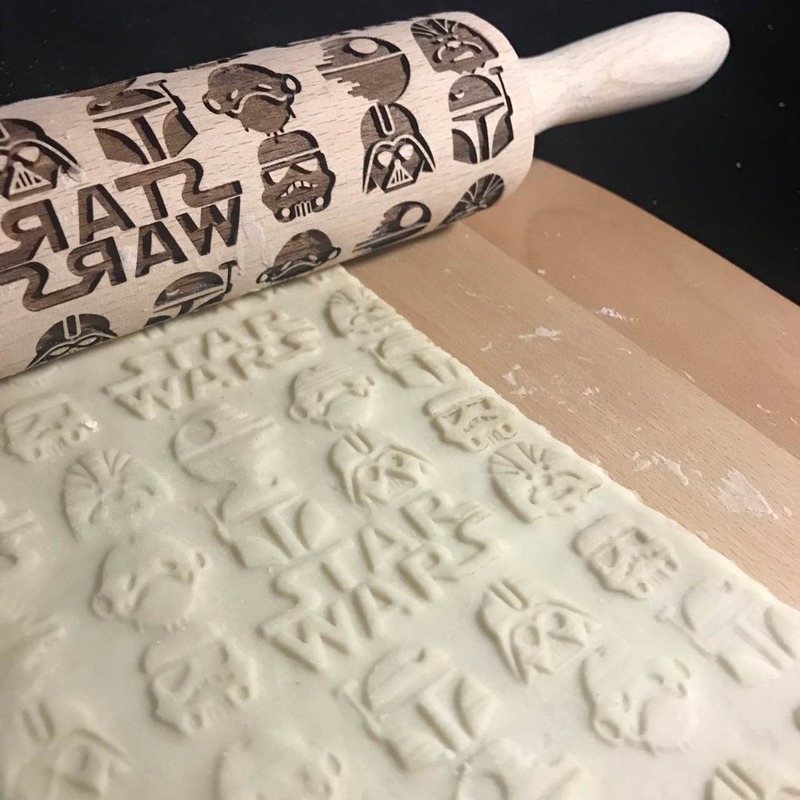 love this rolling pin. the embossed motive is not so much deep. it needs to push a lot on the dough. but I’m okay with that. Получила скалку, хорошего качества, но отпечатки оставляет слабые на тесте. Item works well for use on a soft dough. Thank you, very good items. Well packed. Well packaged, good quality. My friend is a star war fan, he is very happy to receive it as a gift. Looks amazing, I love it. I will upload pictures after I tried it. A termeken a melyedesek nem eleg melyek, a sutemenyen nem kelloen latszik sajnos. esattamente come in foto. fantastico. spedizione rapida! Tolles Produkt, gute Qualität, super verpackt. sehr gute Kontakt mit dem Verkäufer! Штучка конечно интересная, но под нее нужен специальный рецепт. Обычное песочное печенье не получается. Шло долго, но пришло в целости и сохранности. Fun for the kids. Recommended. The figures are a little small though. This is good quality, and with a little practice produces good results. Arrived after Christmas period, but I’m looking forward to next year to use it! Safely packed for transport! très bon emballage, le rouleau fonctionne très bien, arrivé 2 semaines après la commande. La profondeur des sillons est correcte et les motifs ressortent plutôt bien.